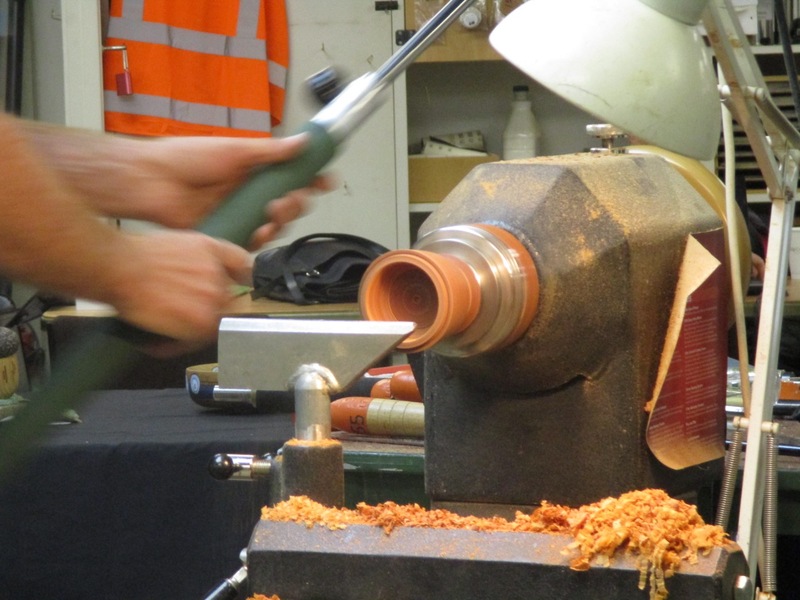 Lidded Box – Dave Gillard | South Auckland Woodturners Guild Inc.
Our speaker this evening was to be Michael Engel from Liquid Polymer Glass Ltd. However, due to a slight communication error, Michael was not due until 8.00pm so David Gillard stepped in to fill the slot with a quick demo of making a lidded box. Dave started with a piece of hard wood he had bought along to be identified and cut off a piece fitting the term project of 125mm cubed. 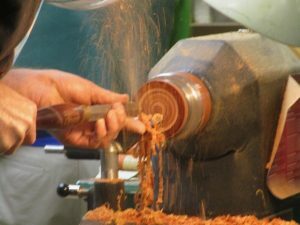 He mounted the wood between centres and rough turned it round making a tenon on each end for mounting into a 50mm chuck. After fitting the chuck Dave mounted the piece using the tenon made on one end and turned down the outside shape of his box in keeping with a drawing he scribbled up on the white board. 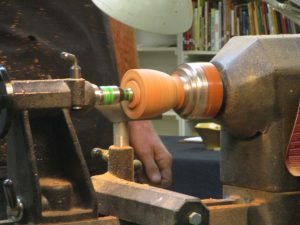 Using a thin parting tool he parted off the lid and set it aside and commenced to hollow out the inside using a series of tools. His preference for a cup tool saw him ultimately having the piece dramatically leave the lathe to the rapturous cheers and guffaws from the appreciative audience. He then took advice from a member and finished the main hollowing with a forstner bit and then refined the bottom and called it done. Dave then miraculously sanded the piece to 2000 grit using just one tiny piece of sandpaper. 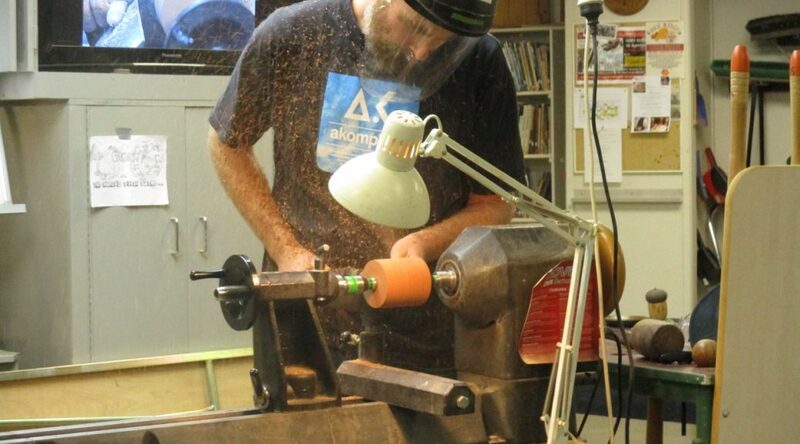 He then mounted the lid section on its tenon and quickly finished it off as Michael Engel had arrived and set up. Dave received some light hearted ribbing and applause and handed over to Michael.